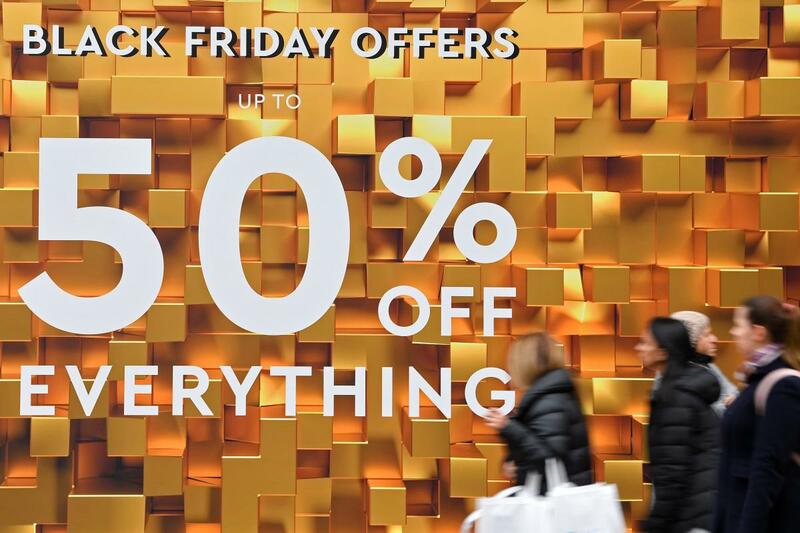 LONDON (Reuters) – Shopper numbers in Britain saw their largest November drop for a decade, as Black Friday discounts drove more shopping online, retail researcher Springboard said on Monday. It said footfall on high streets, shopping centers and retail parks fell by 3.2 percent year-on-year last month – a twelfth consecutive month of decline. “This year, amidst all of the other challenges facing retail, the drop in footfall of 3.2 percent in November was the largest of any November since Springboard started publishing footfall data in 2009,” said Diane Wehrle, Springboard’s marketing and insights director. In the week of Black Friday (Nov. 23) itself footfall declined by 5.5 percent. Wehrle said the decline was indisputable evidence that Black Friday delivered no tangible benefit to bricks and mortar stores. A string of British store groups have gone out of business or announced shop closures this year as they battle subdued consumer spending, rising labor costs, higher property taxes, growing online competition and uncertainty over Brexit. Last week industry data showed like-for-like retail sales fell 0.5 percent in November year-on-year – the biggest fall since October 2017 excluding distortions caused by the timing of Easter. Springboard is forecasting that footfall will decline by 4.2 percent in December, a greater drop than the 3.5 percent fall in December last year.